With premium components and up to 20dB of boost available, the Xotic Super Sweet Booster pedal is a great way to punch up your tone. The real magic lies in the Super Sweet Booster’s internal DIP switch, which allows you to fine-tune which frequencies are emphasized with the boost. Whether you want a broad-range boost or want to focus your mids for more punch and impact, the Super Sweet Booster has you covered. 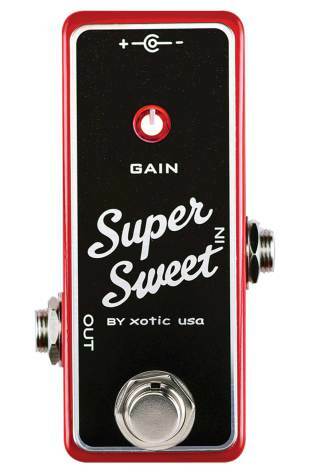 The Xotic Super Sweet Booster pedal is a versatile tone-boosting tool in a compact format.